Haul: Mostly Lipsticks; Etude House Grand Sale! Then I dropped by Vente and bought some rings. They didn't have an "A" ring that time so I bought a "Y" one. And I stopped by Etude House to buy their Bubble Hair Coloring but, unfortunately, only the black variant was left at the SM North branch that time. I want to get either dark brown or natural brown but they're OOS so I ended up getting different items. AND YES, I know I promised in my post *here* that I wouldn't be buying nail polish for two months. Eeenk, I failed. I couldn't resist this matte polish. :/ I also bought a mascara because I thought that it's time to replace my current mascara (WNW Lash Intense) which I've been using for about 4 months already. I also bought some lippies. I got two more EB matte lipsticks. (I already posted a review of EB matte lippies. Click *here* to read it.) I also got some Aido lipsticks which are ridiculously cheap, by the way. I asked the SA what the difference between "regular" and "classic" is. She said that their classic lipsticks are semi-matte and stays on longer on the lips, while the regular ones have more moisture in them. Now that I've swatched both on my lips, I feel that it's the other way around. The regular one appears to be more matte and the classic one is more moisturizing. Hmmm. 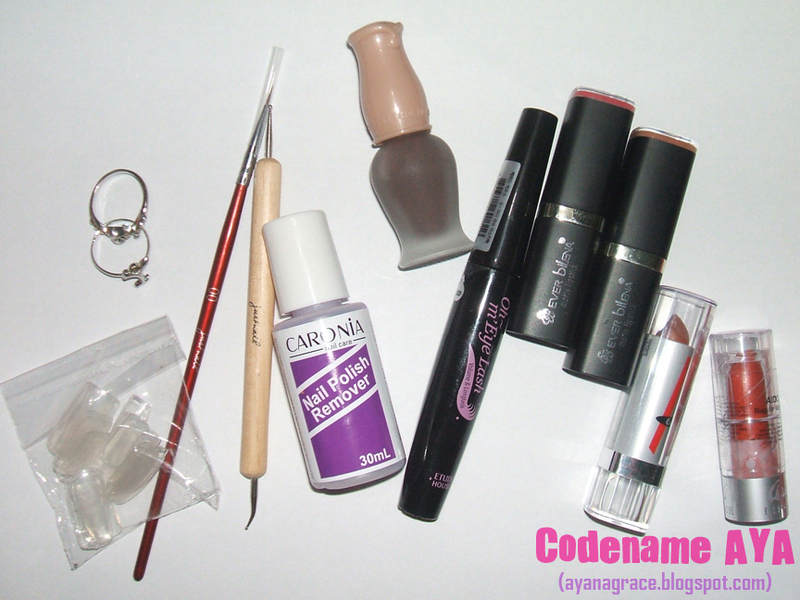 I'm really into lipsticks right now so expect more lipstick reviews coming up in this blog. Hihi. 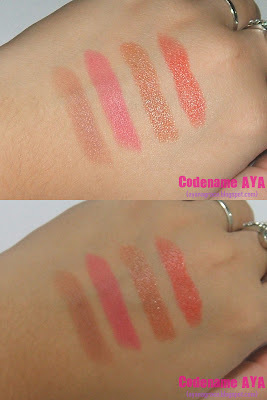 Here are the swatches of those lippies, by the way. So that's it for my latest haul. Oh, and by the way, if you're planning on shopping this week, check out the Etude House branch near you. They're having a GRAND SALE from June 15 to 21. 20% off on ALL ITEMS. All branches are participating in this sale but there's a one-day delay on Department Store counters. @Pammy, LOL. Just lately. Thanks! waaa. i don't know what to buy on EH sale. I'm thinking of getting AC Clinic and crack nail polish. :) Sayang naman yun hair bubbles, last time na punta ko dun andami pang stocks ^_^. I did some haulin' at Etude House too! Yay! I want the EB Pink Flame lippie too! Nagmahal na pala by 10 pesos. Haha!